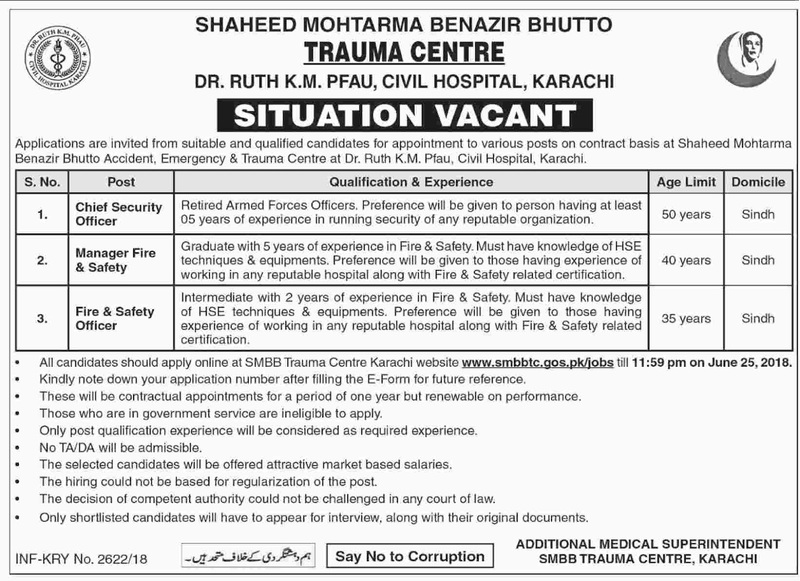 Situation Vacant at Trauma Centre Shaheed Mohtarma Benazir Bhutto (SMBBTC) in Karachi Cities. Trauma Centre Shaheed Mohtarma Benazir Bhutto is a Government Organization which requires employees for Administrative, Engineering, Doctor, Medical, and Assistant Jobs in cities Karachi. Jobs Offered at Dr. Ruth K.M. PFAU, Civil Hospital Karachi. 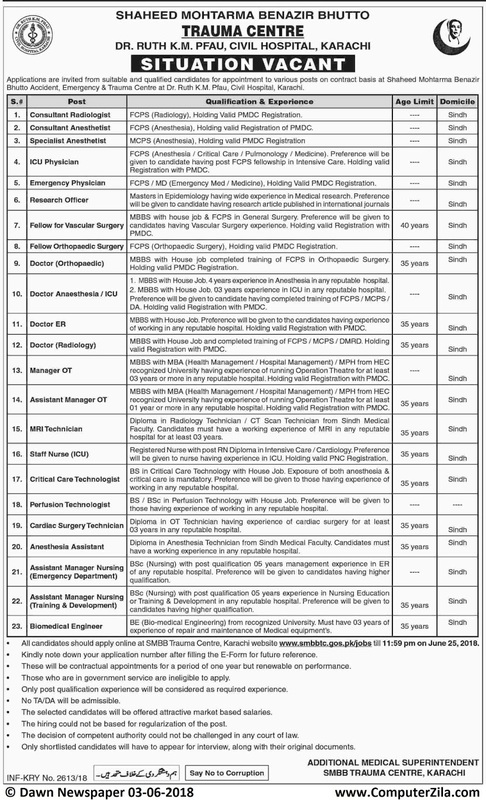 different medical jobs offered, applications are invited from suitable and qualified candidates for appointment to various posts on contract basis at Shaheed Mohtarma Benazir Bhutto Accident, Emergency & Trauma Centre at Dr. Ruth K.M. Pfau, Civil Hospital, Karachi.